Poppies have always been one of my favorite flowers to paint. Especially the red oriental poppies. I am happy to know that others like them as well. I am asked quite often to paint these beautiful flowers by students and clients. The above painting is another one of my crazy, fun pours. Only this pour is done once. 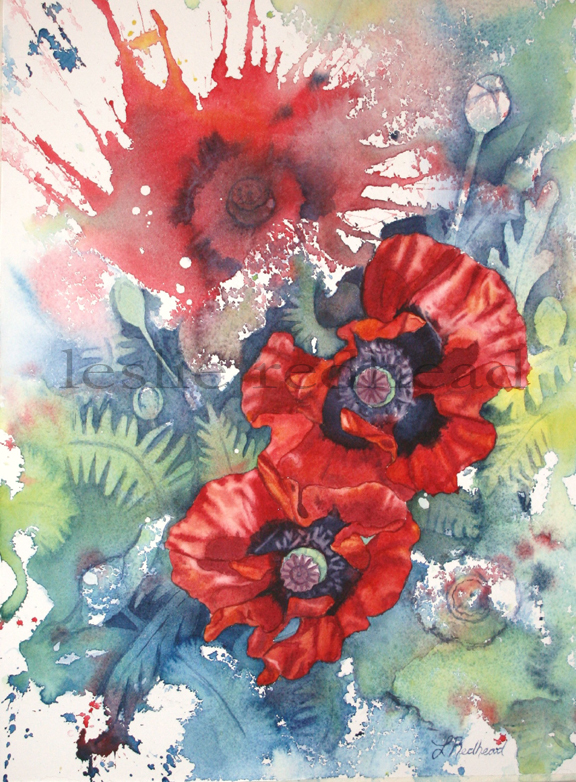 First, I draw out some poppies then I save them by using masking fluid. The masking fluid allows me to not worry about splashing the paint onto those beautiful poppies that I will paint in later. This is a process I like to teach my students for several reasons. It shows how you have to let water move and mix the paint (it is water color after all). The negative painting is great with watercolor because you have to learn to leave your white/light colors and paint in your darks. 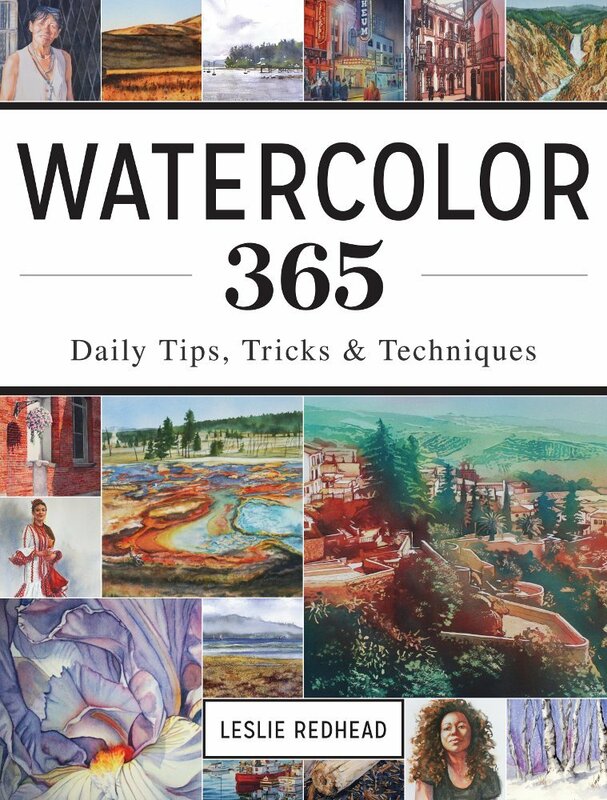 It is essential if you want to succeed with watercolor. And last, it is sooo much fun! I am teaching this type of course at two places this spring. For more information, please click on the above links or contact me. 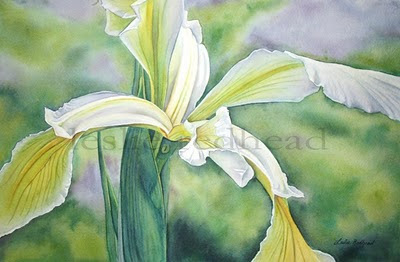 This is the latest in my iris series. Yellow is a very difficult color to work with in watercolor. How do you make it vibrant enough without it becoming heavy? Plus it can get tainted by another color very easily. I am pleased with the result however. I am an artist and mother of 2 wonderful children. My passion is watercolor. My children call me Watercolor Woman and refer to me as the Waterbender. I am the author of Watercolor 365 and illustrator of the children's book, Island in the Salish Sea by Sheryl McFarlane. Do You Dream of Living the Artist Life? Blogger Templates Copyright © 2014 Envye. Powered by Blogger. All images copyright of Leslie Redhead. Powered by Blogger.